The Best Hamburg Food blogs from thousands of top Hamburg Food blogs in our index using search and social metrics. Data will be refreshed once a week. Hamburg About Blog Vegan & Vegetarian Recipes, Tips on Vegetarian Restaurants & Veggie Guides, Food Science - Physical & Mathematical Aspects in the Kitchen and Much More by Arne a Hamburg based Food blogger. Facebook fans 5,535. Twitter followers 338. Hamburg About Blog We report on the most popular places, current events, Hamburg specialties and shopping tips. Things that are "typical Hamburch". Facebook fans 68,247. Twitter followers 5,958. Hamburg, Germany About Blog Vegan Guerilla has been offering you delicious food for every day since October 2010 , inspiration for the kitchen. My first book "Vegan Guerilla - The Revolution Begins in the Kitchen" has been published by compassion media. In addition to hundreds of recipes, there are also many other articles too. Facebook fans 51,528. Twitter followers 1,877. Facebook fans 2,156. Twitter followers 271. Hamburg About Blog I blog about food, DIY, lifestyle and, of course, Hamburg. I present a monthly favorite, which can be a shop or a café in Hamburg and the surrounding area. Recipes and suggestions are regularly shared. Facebook fans 1,684. Twitter followers 1,065. Hamburg About Blog What is going on here is quite easy to explain: For delicious food. And around Hamburg. Why? Because my whole life revolves around it. I'll show you delicious recipes and exciting people, give you great gastro-tips, and prepare your children's birthday or your party . Facebook fans 838. Twitter followers 227. Hamburg About Blog A Blog of a Hamburg hobby cook around cooking, eating, drinking and whatever else is part of life. Facebook fans 286. Twitter followers 907. Hamburg, Germany About Blog It's a Coco life is about a Healthy Lifestyle: fitness, food and motivation, tips and tricks.n. Facebook fans 1,942. Twitter followers 99. Hamburg, Germany About Blog My name is Sarah, I'ma designer, I'm living and working in Hamburg, Germany. With my blog I'm looking for Recipes, inspirations and suggestions or all the big and small happy moments in our all day life. Facebook fans 2,042. Twitter followers 141. Hamburg About Blog Food at its best! A food blog, a blogger and lots of great recipes! by Tina Bumann. Facebook fans 8,267. Twitter followers n/a. Germany About Blog Vegan Food Blog from Hamburg by Lena Suhr providng simple, healthy recipes for every day, quickly made. The focus is on the use of raw, seasonal and regional ingredients. Vegan cooking classes, workshops and recipe development. Facebook fans 6,248. Twitter followers 2,118. Hamburg About Blog NutriCulinary is a food blog by Cookbook author, food journalist, author and blogger Stevan Paul, for deliberate connoisseurs. A sense of responsibility for our food and food is the basis for healthy eating and the enjoyment of cooking and culinary delights. Facebook fans 3,714. Twitter followers 2,798. Hamburg About Blog We are a mobile cooking unit. We hunt unusual venues from Hamburg to Paris and offer culinary experience in an out-of-the-ordinary atmosphere. Facebook fans 33,176. Twitter followers n/a. Hamburg About Blog Food Blog from Hamburg with delicious and simple recipes of all kinds as well as travel reports from all over the world. Facebook fans 1,503. Twitter followers 1,010. Facebook fans n/a. Twitter followers 2,708. Hamburg About Blog HOWSHELIV was founded in Hamburg in December 2015 and offers .Lifestyle, Travel, Fashion & Food in a creative way. Hamburg About Blog A Food blog from Hamburg with Clean Food, Recipes & more is on the move in the culinary world: it is all about food, nutrition, food trends and highlights in the world of good taste. 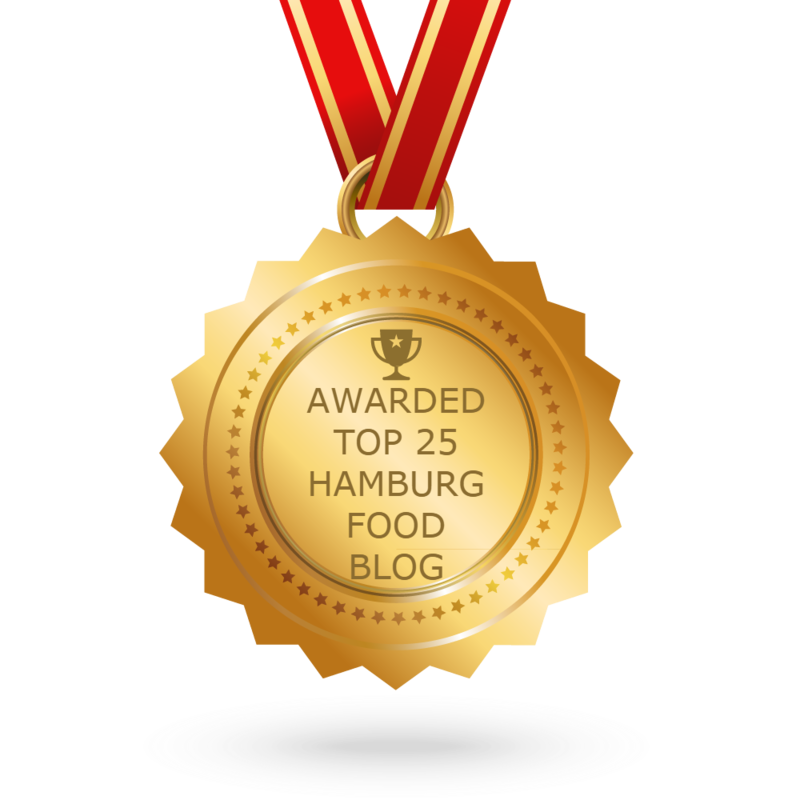 CONGRATULATIONS to every blogger that has made this Top Hamburg Food Blogs list! This is the most comprehensive list of best Hamburg Food blogs on the internet and I’m honoured to have you as part of this! I personally give you a high-five and want to thank you for your contribution to this world.